Formed in January 2018, the DaVinci project is a private sector initiative working to help payers and health care providers, (HCPs) “positively impact clinical quality, cost and care management outcomes” by facilitating the adoption of HL7® FHIR® data standards. 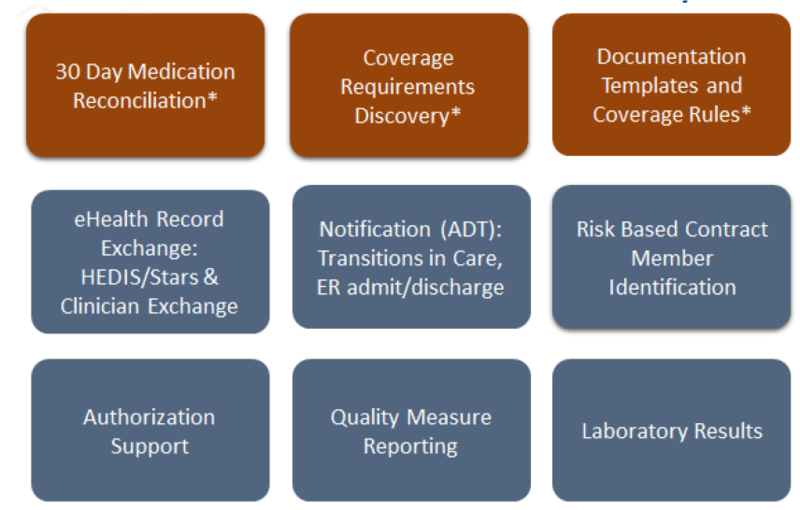 Fast Healthcare Interoperability Resources (FHIR®) is the set of standards that will facilitate the exchange of health information through connected, interoperable systems using a consistent data format. Veradigm is proud to be a leader working on the DaVinci project. As part of Allscripts we are a founding partner of this effort and committed to building open, connected communities. We work to improve the value, efficiency and quality of care delivery by providing actionable insights and innovative tools to help health plans control costs while optimizing health outcomes. Visit www.veradigmhealth.com for more information or contact us.